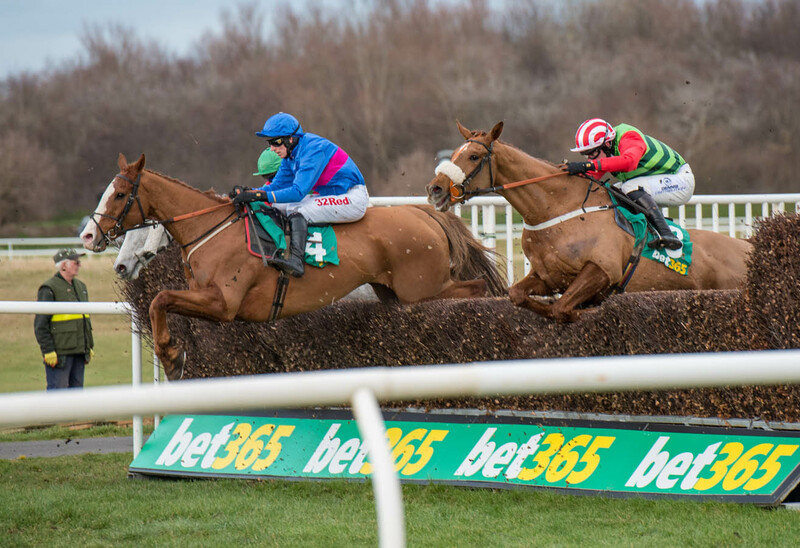 With more than £240,000 in prize money over the two days, Saturday’s feature meeting is the £40,000 bet365 Edinburgh National Handicap Chase (3.15pm), a stayer’s contest over four miles. Top trainers represented include Nigel Twiston-Davies with Ballymalin, Gordon Elliott with Charmix, Warren Greatrex with Missed Approach, Paul Nicholls doubles up with Southfield Theatre and Silsol, while Devon-based Victor Dartnall aims to make the long trip worthwhile with Dancing Shadow bidding to land the Musselburgh marathon for the second year running. Nearer to home Northumberland-based Rose Dobbin will be sweet on the chances of her pre-Christmas Doncaster winner Mister Don, while Berwickshire handler Sandy Thomson will be keen to uphold his impressive course strike-rate with Musselburgh regular Full Jack. In the £30,000 bet365 Scottish County Hurdle (2.05) Jim Goldie has the likely favourite in Sir Chauvelin, the winner of the Hogmaneigh Handicap Hurdle over course and distance on New Year’s Day. Tandem would be a rare Musselburgh runner for top Irish trainer Dermot Weld, while recent Catterick scorer Crackdeloust represents Brian Ellison who won the big race at Cheltenham on Saturday with live Gold Cup hope Definitly Red. The bet365 Scottish Future Champions Novices’ Steeple Chase (1.30) catches the eye with Royal trainer Charlie Longsdon returning with Forth Bridge, the winner of last year’s bet365 Scottish Triumph Hurdle Trial at Musselburgh, while Paul Nicholls puts up Tommy Silver, winner of the aforementioned race in 2016. In the bet365 Scottish Foxhunter Open Hunters' Chase (4.20) Wonderful Charm, trained by Paul Nicholls, is a class act and he won this race 12 months ago before going under by a neck in the Foxhunter Chase at the Cheltenham Festival. Musselburgh’s Sunday card gives those with an eye on the Cheltenham Festival a chance to show what they are made of and in the Listed bet365 Scottish Triumph Hurdle Trial (1.25pm) twice winner of this £25,000 race Nicky Henderson intends to run either Style De Garde or We Have A Dream from his powerful Seven Barrows yard. City Dreamer would be just the second course runner in recent seasons for Scots-born trainer Alan King while Carluke-based Keith Dalgleish is hoping to repeat his New Year’s Day Musselburgh win over the same distance with Uptown Funk. Beyond The Clouds, ridden by Brian Hughes and trainer by Kevin Ryan is unbeaten in both starts over hurdles, the most recent of which was at Musselburgh in November and is entered in the Sky Bet Supreme Scottish Trial Novices’ Hurdle (2.00pm), while Nicky Henderson’s Claimantakingforgan is also two from two over hurdles with wins at Ascot and Newbury and is reportedly an intended runner according to his trainer. Rock My Style opened his account at Hereford earlier this month for Lambourn trainer Warren Greatrex and is entered in the Albert Bartlett Scottish Trial Novice’s Hurdle (2.35pm), while Kim Bailey is two out of two at Musselburgh in the last five years so it’s worth keeping an eye on his raiding party which includes Red River. Musselburgh Racecourse chief executive, Bill Farnsworth, said: “The quality and quantity of entries over both days of our bet365 Scottish Cheltenham Trials Festival is outstanding and racing fans are in for a real treat.